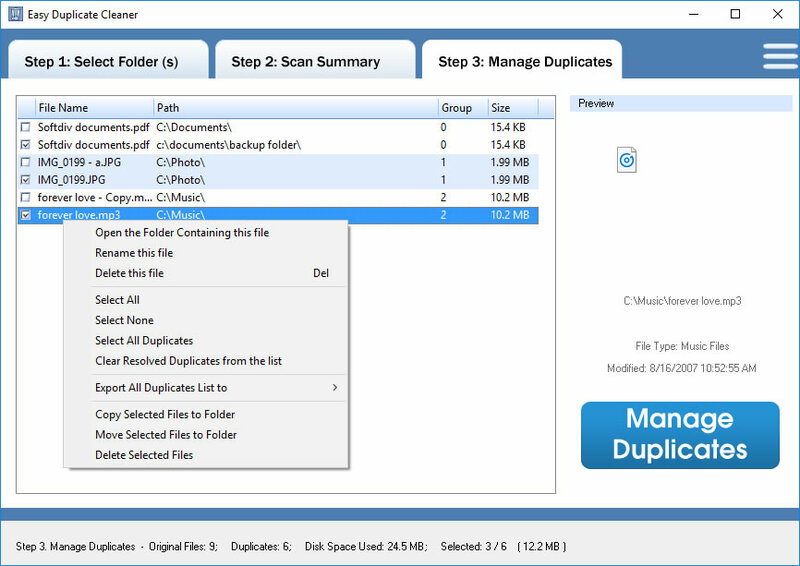 Find and delete duplicate files on your computer and free up gigabytes of hard drive spaces that was being taken up by duplicate files that you don't need.
" 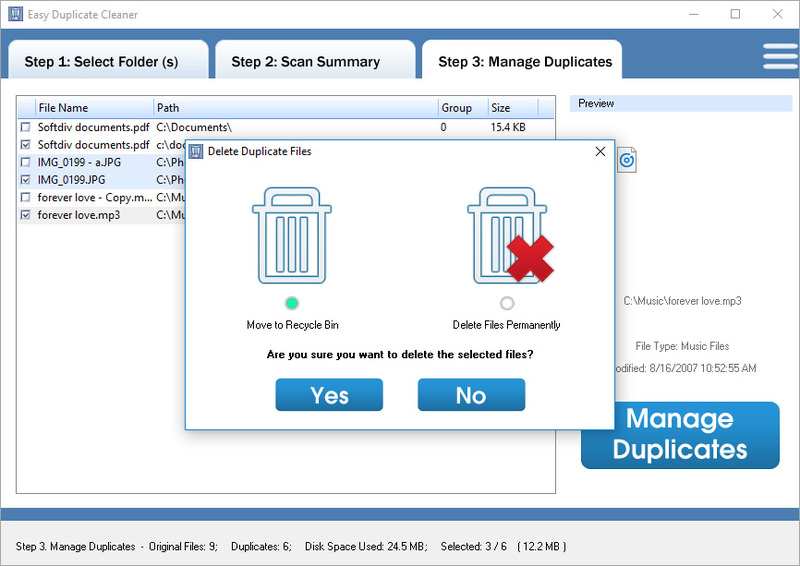 It is not uncommon for a considerable amount of disk space to be taken up by files that are stored more than once in multiple locations, and removing these items is far from easy without the right tool to help you out. 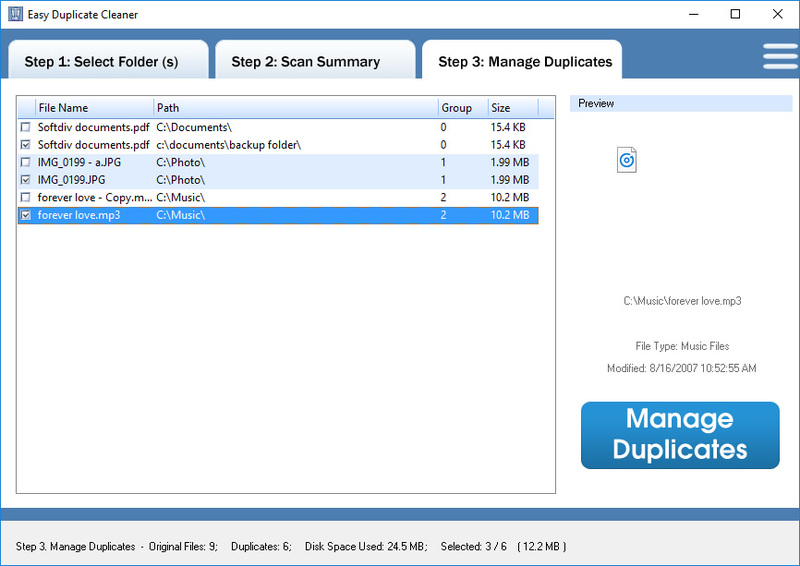 Easy Duplicate Cleaner is an easy-to-use application that can help you find these unnecessary items and delete them "
Find and delete duplicates files from Adobe Acrobat Files, Photo Images, Archive Files, Ms Office Files, Music Files, Open Office Files, Text Files, Video Files, Web Files and more. 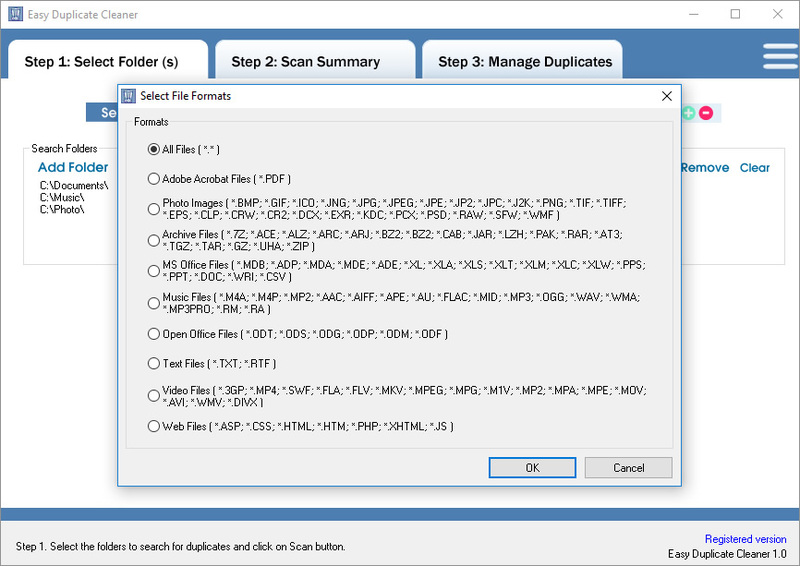 Select folders and also file formats to be included or excluded from the search. 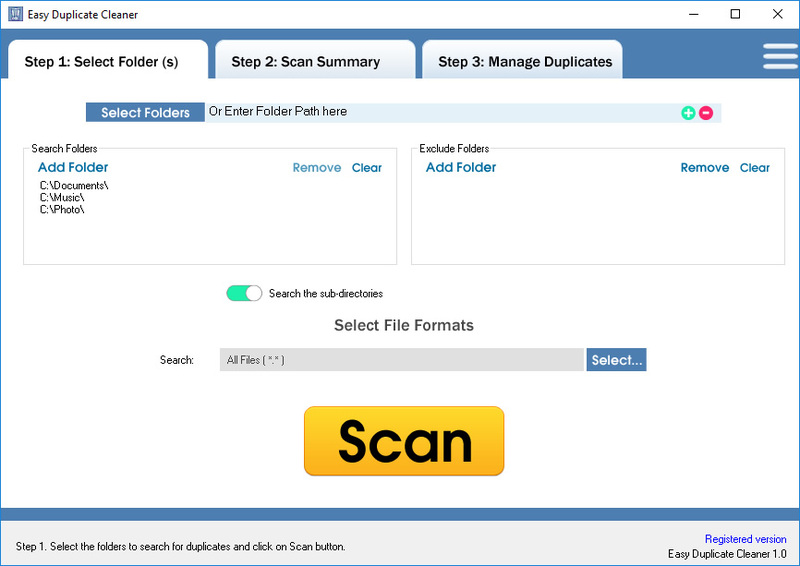 Scan summary with details like total duplicate files, total duplicate groups, space used, files found and etc. 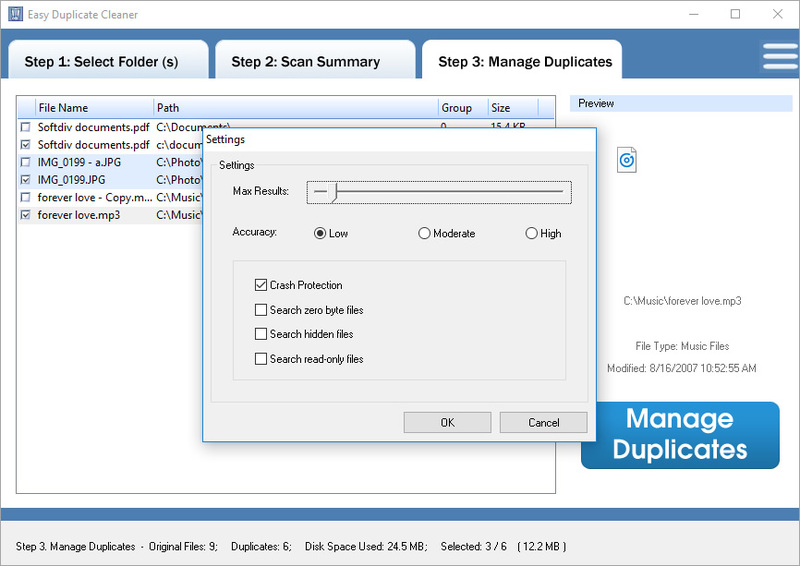 Preview the duplicate files before taking any action. 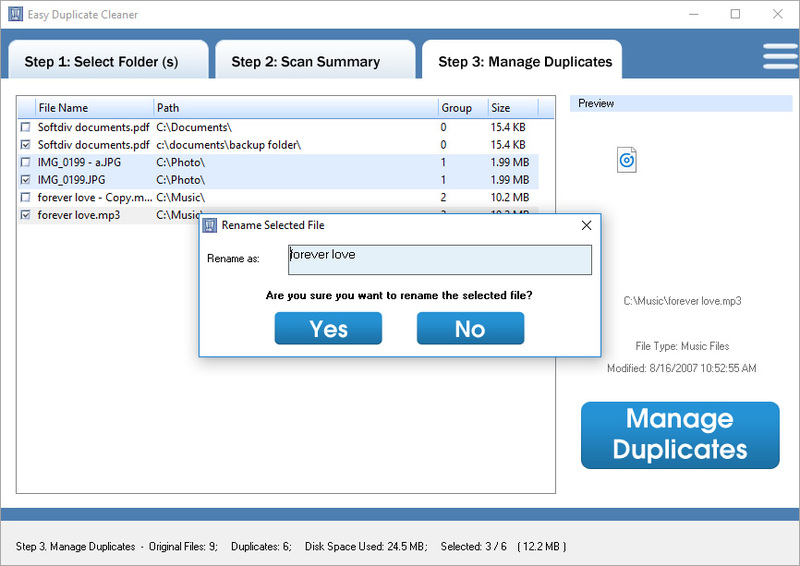 Manage the duplicate files by sending them to recycle bin, permanently delete, export to clipboard or text files, move, copy or rename them. Fast and accurate search result. 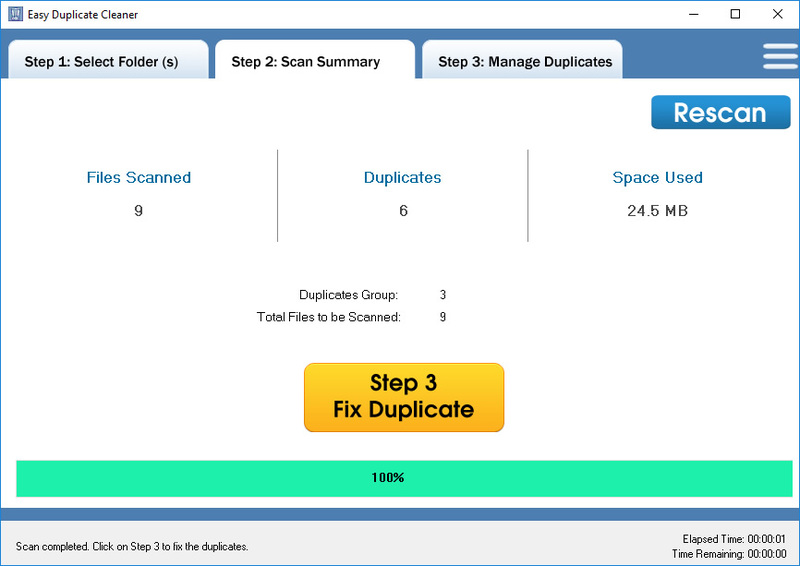 Clean and make your computer run faster.